SYMP141 Memorial Arrangement Standard Size Seasonal [SYMP141] - $125.00 : Hanamo Florist Online Store, Vancouver, BC, Canada, Quality arrangements using a plethora of the freshest flowers. For the Funeral or memorial Services. Approx. height : 28 to 30 inch, Send this as a nice standard sized (medium) for the funeral / memorial service at the chapel or funeral home. Flowers may be different from the sample picture due to the seasonal market availability. You may choose the preferred flower colors or leave it up to us. 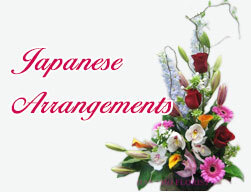 Please note we do not use roses for the Japanese Buddhist Services.